1) From Naples Railway Station to Sorrento: Circumvesuviana Train timetables (EAV company). 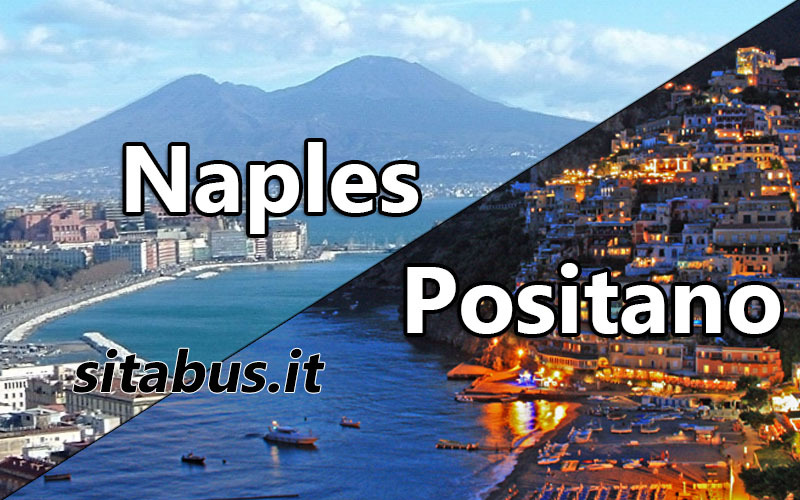 2) Naples – Amalfi: Sita lines Naples – Amalfi. 3) transfer services for a direct connection. 4) During the summer by boat with hydrofoils and ferries. I am planning to move at 30th Positano to Sorrento. But, I was told the bus does not run, because of falling rocks. I want to go via the sitabus. Is it possible? Where can I know that bus is operating? P.S I’m sorry I did not speak English well. Hi Monica! Thank you for all these posts. I am traveling to Italy this weekend, landing in Naples. I need to get from the Naples Airport to Positano this Friday morning and then from Positano to Sorrento on Sunday Morning. What is the best way to do this? And do you know roughly how much to trip costs and how long each one would take? Thank you again for all the help you are giving! We are taking the train into Naples on July 19 and will arrive at 12 noon. We then need to connect to Positano. Which two lines should we take? Do we need to book them in advance or just wait until that day? Thanks! I suggest you to pass through Sorrento because there are more rides. About the tickets, wait that day.